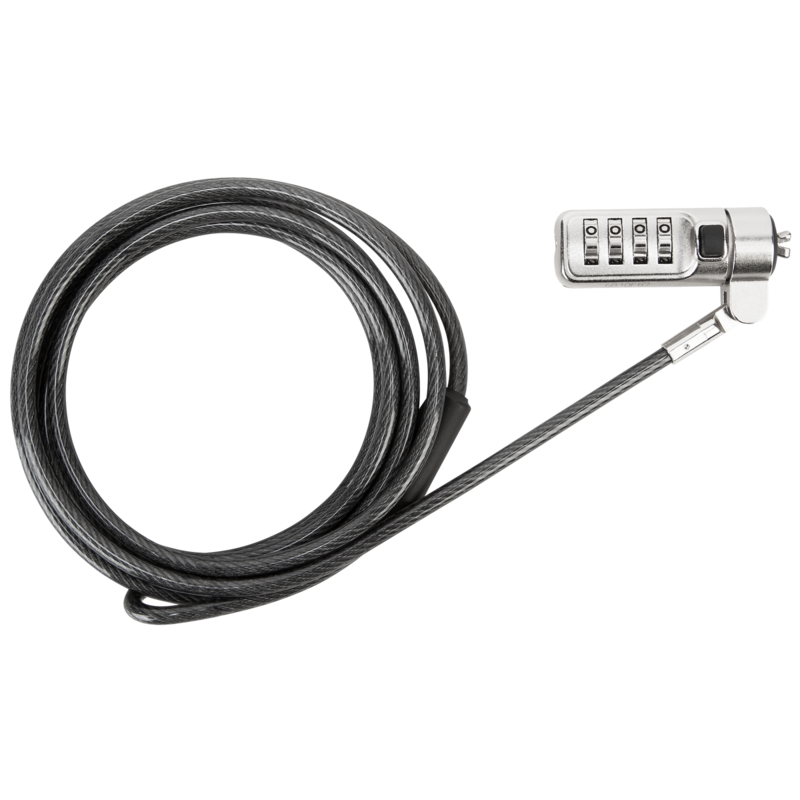 Secure your laptop with a DEFCON® Serialised TrapEZoid Combo Cable Lock. 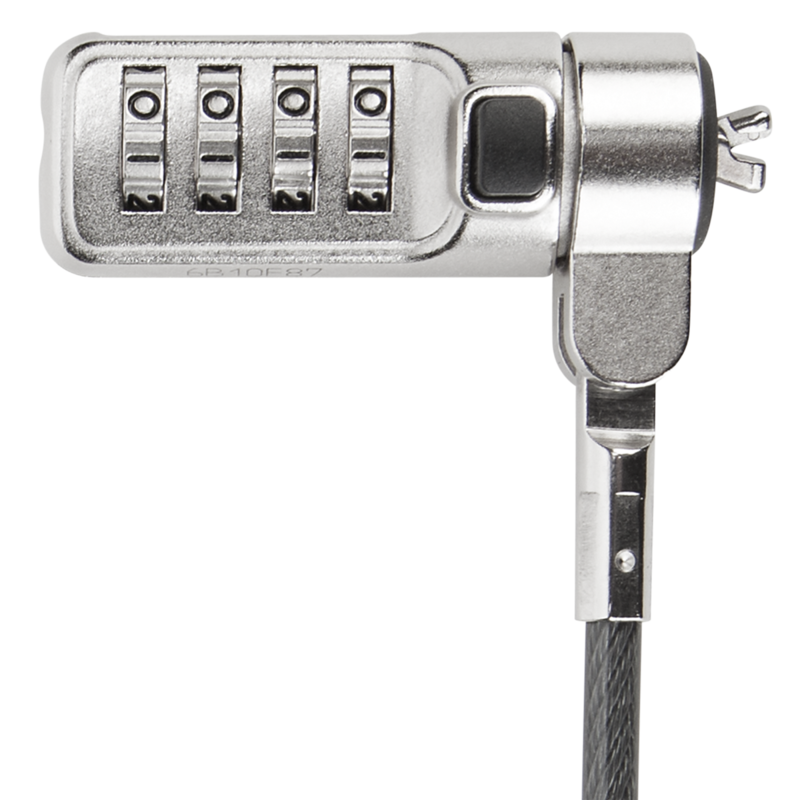 It also works with any device with a mini-sized lock slot, such as tablets. 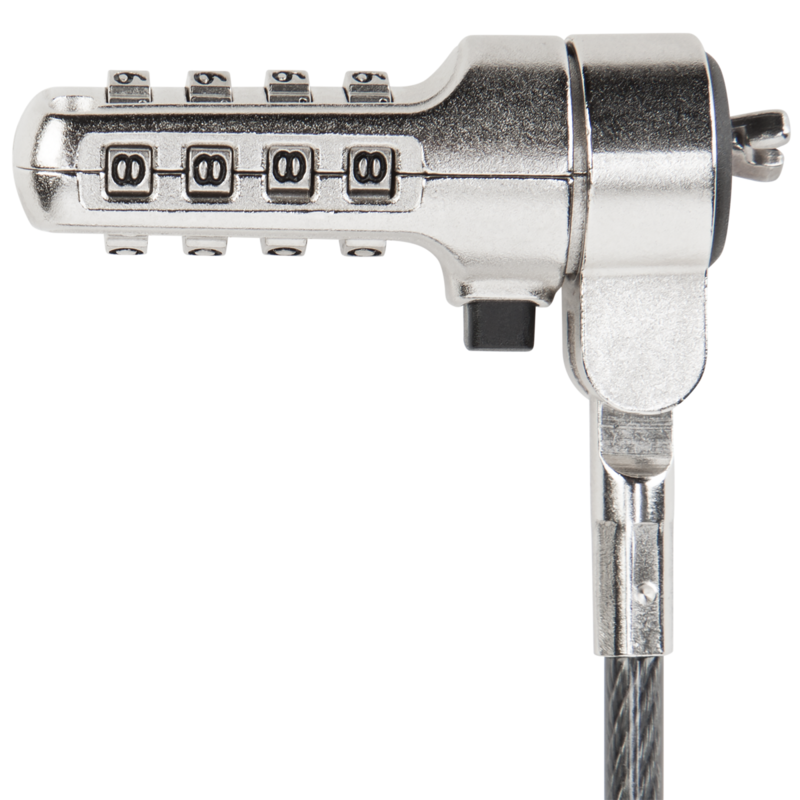 The DEFCON® Serialised TrapEZoid Combo Cable Lock is a sturdy locking device with a pass-through loop on one end and a lock on the other. 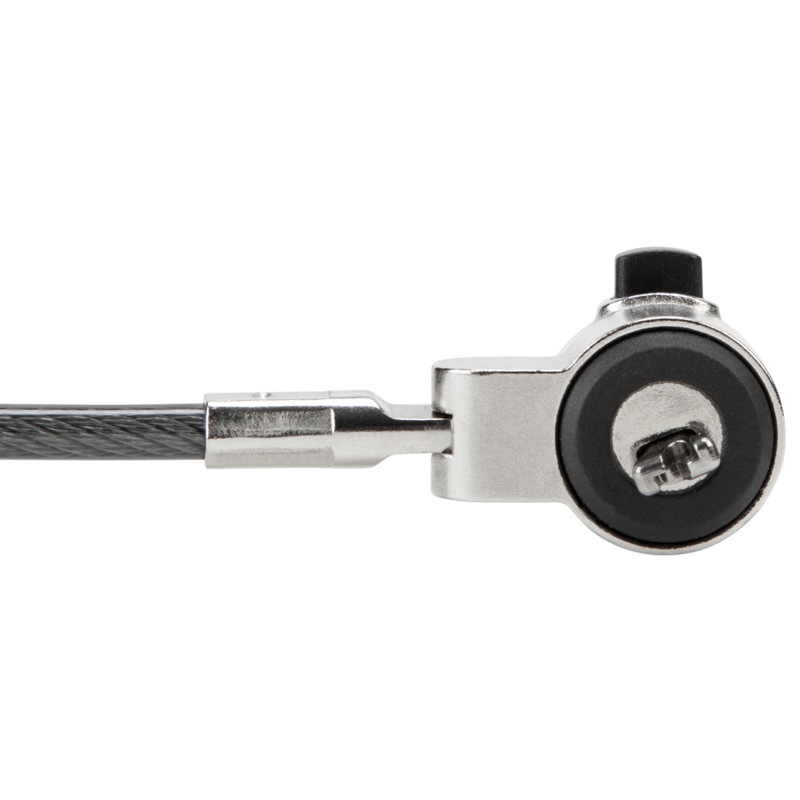 The 6.5-foot durable galvanised steel from which the cable is constructed is both cut- and rust-resistant so that it’s nearly impossible to destruct. 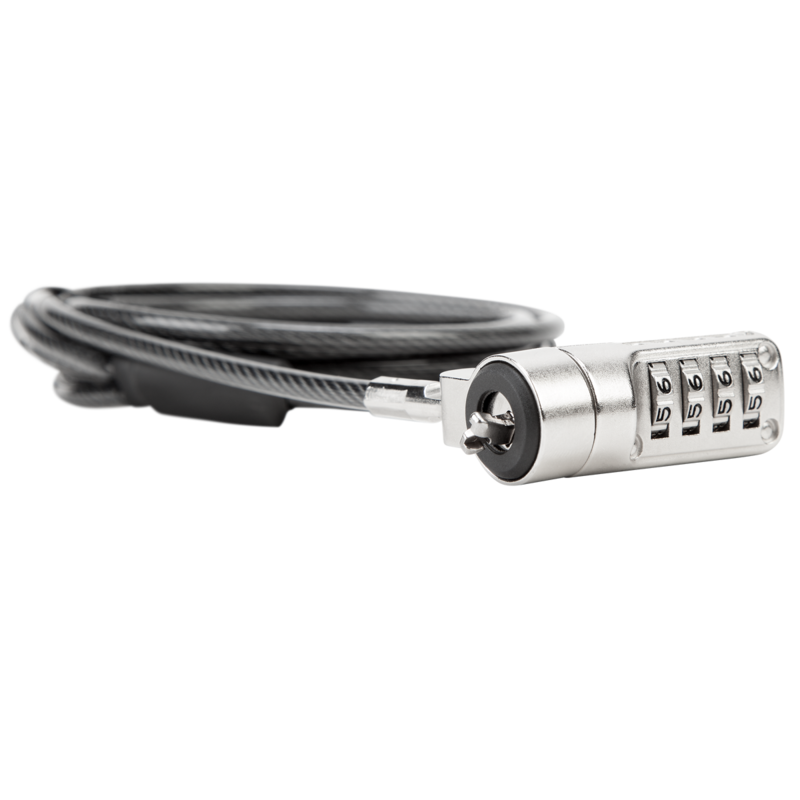 And if someone attempts to remove the lock, it will noticeably damage the computer, alerting you to potential theft and preventing resale.